During the past 12 months, RABI has provided financial assistance to more than 1,200 farming families in hardship, writes chairman Michael Thomas. From November 21, 2016, to November 20, 2017, we have given out grants totalling £1.95 million and helped people claim around £346,000 in state benefits. It is fair to say more and more working people contact us for help each year. However, the bulk of our work is still assisting the elderly, sick and disabled. As well as offering regular quarterly allowances, we provide grants towards home help costs, disability equipment, home adaptations and care home top-up fees – the difference between how much a council is willing to pay a care home and the home’s fee to self-funding residents. Most of us will need to rely on care at some point in our lives, if not for ourselves, then for loved ones. Demands on the care sector are already great, but things are only likely to get worse with an ageing population. We understand the anxieties many older people face and we are committed to offering long-term support to families from the farming sector. We are here for the long haul. Our work grows ever more complex and we regularly see people who fall through the state benefits net. Debt continues to be a big problem for many families and our welfare officers spend a lot of time not only helping people, but also directing them to other charities and organisations, so they can receive further advice on benefits and local authority funding. We have regional welfare officers across England and Wales who continue to undertake training courses – mainly in connection with Universal Credit (which is still being rolled out) and mandatory reconsiderations and appeals, on behalf of people turned down for Employment and Support Allowance and Personal Independence Payments. Being RABI’s chairman is rewarding, but I want us to reach even more people because I know the need is there. The farming sector is changing fast, and the future is uncertain. But a life in farming has always carried uncertainty. That is one of the reasons why RABI has been around for 157 years, helping people get back on their feet. 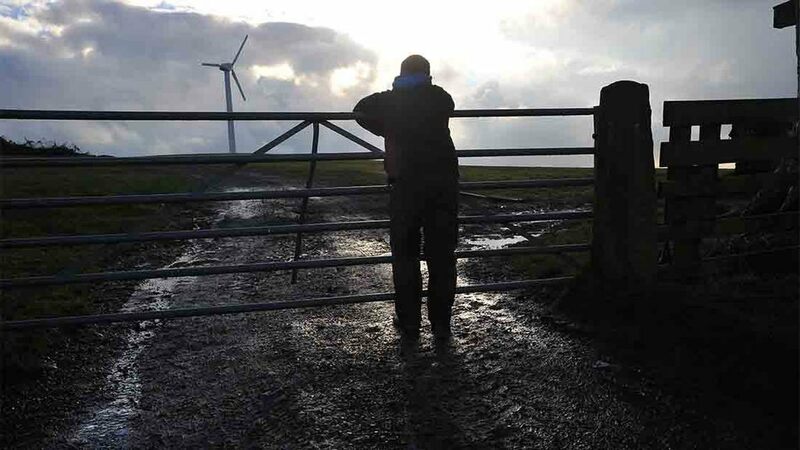 Whatever happens next, we are well placed to carry on supporting the farming industry and, most importantly, those within it who feel like they have no one else to turn to. Contact RABI on the freephone helpline 0808 281 9490.